Buffy Sainte-Marie’s episodes of Sesame Street started airing in 1975, but sadly, representation of Native American and Indigenous Peoples in media — especially children’s media — continues to be rare. In fact, in a 2012 study by the Cooperative Children’s Book Center of 3,600 children’s books, less than 1% of them featured Native American or Indigenous characters. 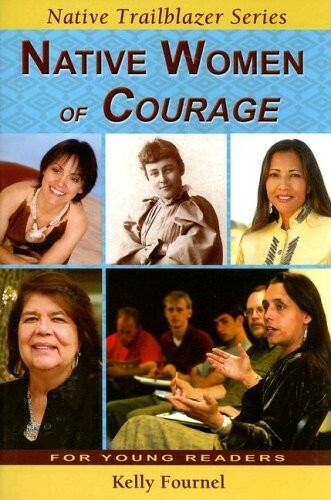 Fortunately, there are some great books available featuring Native American and Indigenous Canadian Mighty Girls! November is Native American Heritage Month in the United States, during which time we recognize the contributions and cultures of the Indigenous Peoples of North America. It’s critical to share stories not just of general history and culture, but of individuals: the names and faces of those who blazed the trails for so many people today. 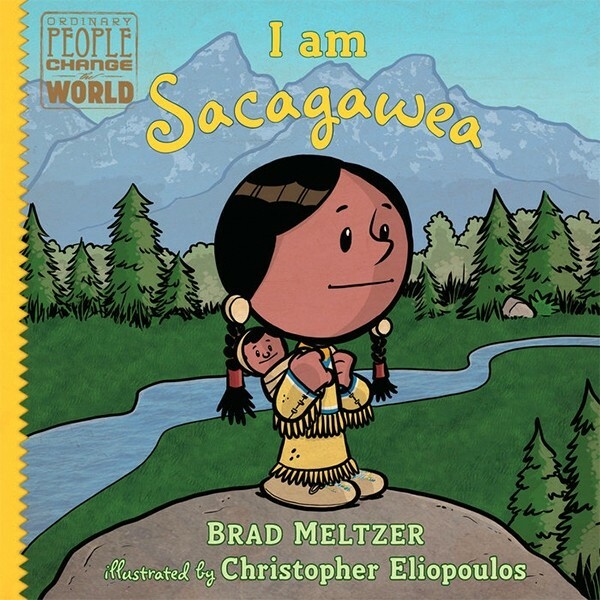 These biographies of Native American women are sure to inspire young readers. Sacagawea was the young Shoshone woman who acted as guide, interpreter, and peacemaker for explorers Lewis and Clark in 1804. At only 16 years old, she traveled over 4500 miles by foot, canoe, and horse — all while carrying her baby on her back! And while she's usually mentioned in passing as Lewis and Clark's guide, the truth is that, without her assistance, it's quite likely their mission would have failed. This engaging biography will help middle readers understand why a "mere" guide is considered important enough to be remembered today. This wide-ranging book features ten Native American women, both past and present, who have broken new ground and raised awareness about North American indigenous cultures. Profiles include Wilma Mankiller, the first woman Chief of the Cherokee Nation; Susan Aglukark, Inuit singer/songwriter; Winona LaDuke, the Anishinaabeg author, environmentalist, and vice presidential candidate; and Susan Rochon-Burnett, the Metis woman who became the first Canadian woman granted an FM broadcast license. 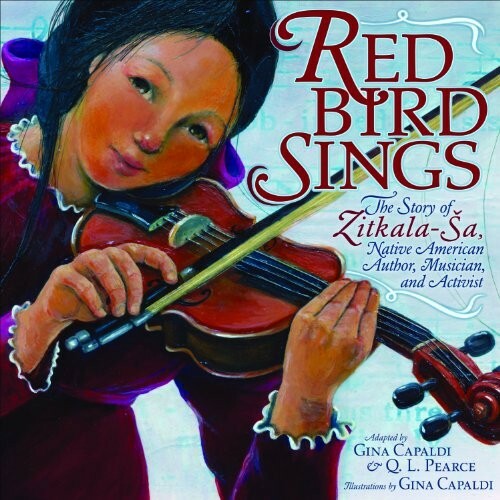 Their stories remind young readers that Native American and First Nations Canadian women have contributed to modern culture in many, often unexpected, ways. This engaging and accessible biography tells the story of the Osage girl who moved beyond culture and tradition to become America’s first major prima ballerina. Although Osage tradition does not allow girls and women to dance, Tallchief showed gifts for dance and music at an early age. After choosing to focus on ballet, she attracted the attention of choreographer George Balanchine, and with the help of Balanchine and her supportive family, she would eventually reach the top of her art form. In fact, Balanchine’s famous choreography for The Firebird was created for her. 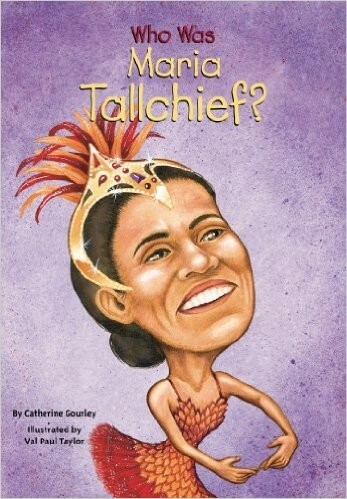 Tallchief's story is also told in the lovely picture book for ages 4 to 9, Tallchief: America's Prima Ballerina. One name that jumps to mind when thinking of Native American history is Pocahontas, but her real story is often overshadowed by the historically inaccurate Disney animated film. 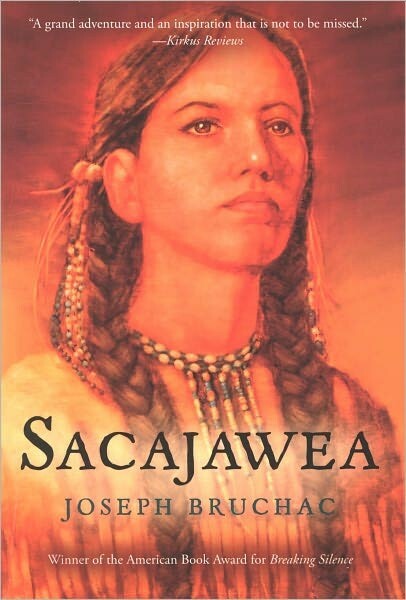 Bruchac, an acclaimed Abenaki author, draws on John Smith’s journals for his depiction of the 11-year-old Powhatan chief’s daughter. 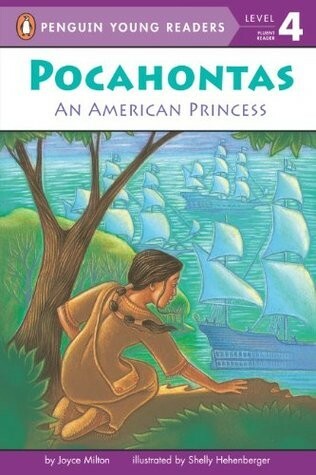 Alternating chapters portray the same incidents from the points of view of Pocahontas and Smith; the sections in Pocahontas’ voice begin with stories in the tradition of Algonquin and Powhatan culture. 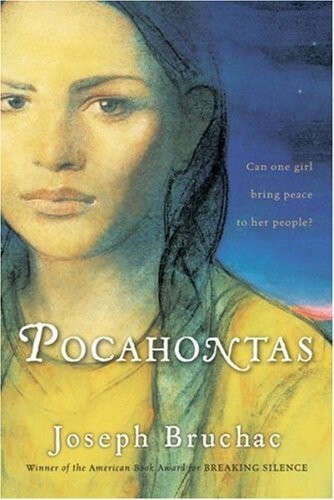 Historically accurate (to the point where it is often categorized as non-fiction) and vividly told, this true story of Pocahontas is far more interesting than the myths that have grown around her. 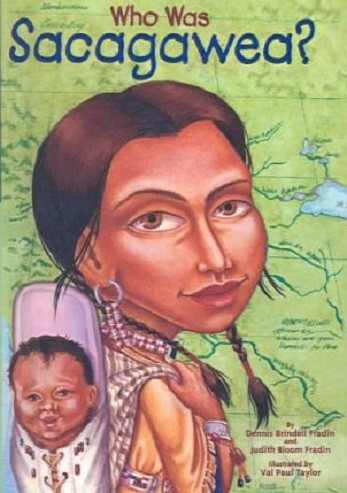 In this book about Lewis and Clark's Shoshone guide, Sacajawea's story is told in chapters alternating with William Clark’s perspective. 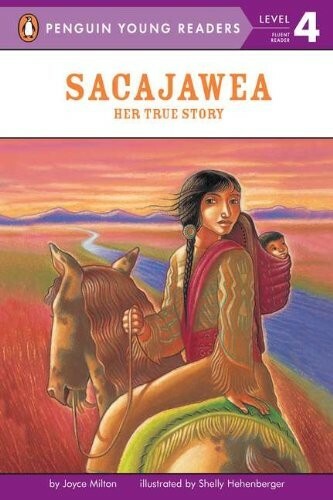 As in Pocahontas, Sacajawea’s chapters begin with traditional tales, either from the Shoshone (during her earlier life) or from the tribes she, Lewis, and Clark encounter along their journey. Bruchac again relied on many contemporary sources to create this vivid, accurate picture of an often mysterious young woman. His telling also touches on the many cultural nuances, both among the Shoshone and the other tribes Lewis and Clark met, that frequently get missed or oversimplified in other books. In 1921, four white men and one Inuit woman traveled to Wrangel Island in northern Siberia. The men's goal was to claim the island for Great Britain...but the woman, Ada Blackjack, just wanted to earn money to care for her sick son. Conditions quickly became dire, and after three men left and the remaining man died, Blackjack spent nearly two years alone on the island, trapping foxes, catching seals, and avoiding polar bears. This book from the Women of Action series tells Blackjack's story, complete with historical photos and details about aspect of Inuit culture. 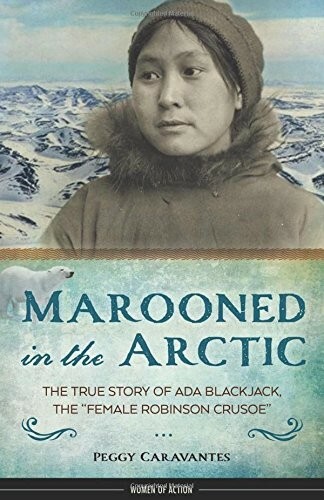 Adults interested in learning more about Blackjack can check out Ada Blackjack: A True Story of Survival in the Arctic. As Buffy Sainte-Marie says in her quote at the start of this blog, history books rarely do justice to the life and culture of Indigenous Peoples, before or after colonization from Europe. These books bring a sense of immediacy to the dry facts and figures of textbooks, and invite children and teens to imagine daily life within these diverse and fascinating cultures. This fascinating picture-book biography of the Hidatsa woman Buffalo Bird Woman, who was born around 1839, depicts life in a Hidatsa village. 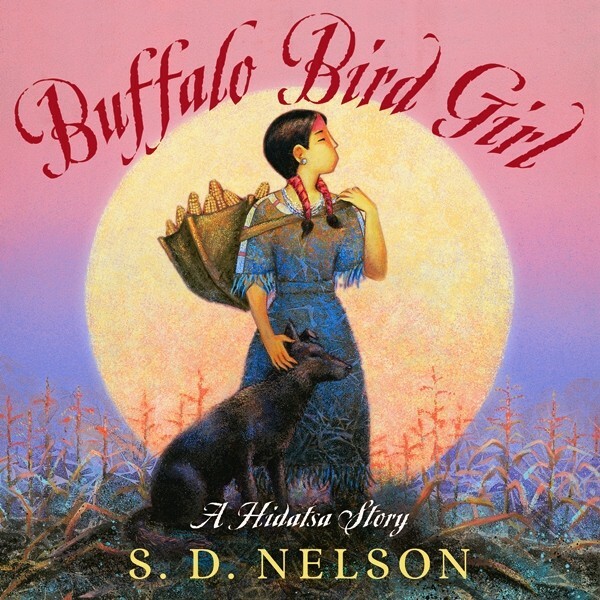 Nelson used the life story of Buffalo Bird Woman, as transcribed in the early 20th century, to capture the spirit of what she was like as a child. However, this book also celebrates her now-lost way of life: since the Hidatsa relied more on agriculture than on game, this story provides a contrast to the stereotypical image of woodland hunters and their tribal life. Since both African Americans and Native Americans faced racial discrimination, there were occasions when they worked together to avoid persecution or violence. In Mississippi in the 1800s, the Bok Chitto river marked the divide between Choctaw territory and the plantations of white settlers. 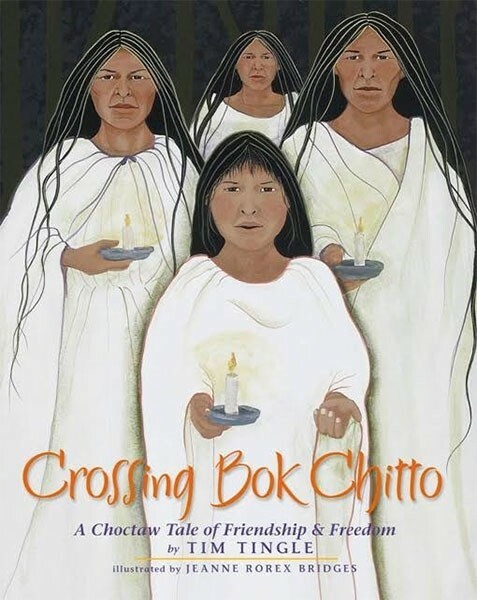 When Martha, a Choctaw girl, crosses the river, she befriends the slaves on a nearby plantation. When one slave family learns that their mother is going to be sold, Martha knows just what to do: get the whole family across the river to Choctaw lands, where they can be free. 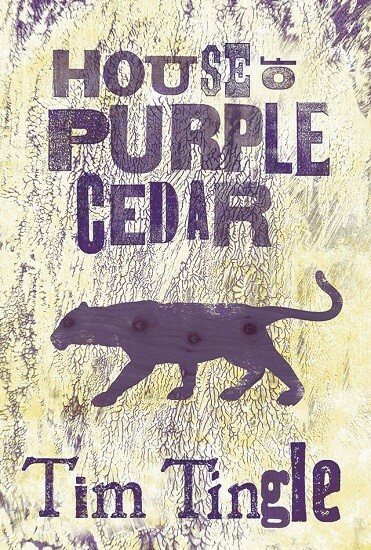 This gripping story, written by an award-winning Choctaw storyteller, is perfect for reading aloud. 9-year-old Soft Rain refuses to believe the letter her teacher reads saying that all Cherokee people will have to leave their homes to go to "the land of darkness" in the west. Her family has just planted corn — surely they can't go now? To her shock, though, soldiers soon arrive and send her and her mother to walk the Trail of Tears, leaving the rest of her family behind. Soft Rain knows enough English to understand how difficult the journey will be, and soon she sees tragedy first hand. Even if she can ever reunite with the rest of her family, Soft Rain knows that nothing will be the same again. 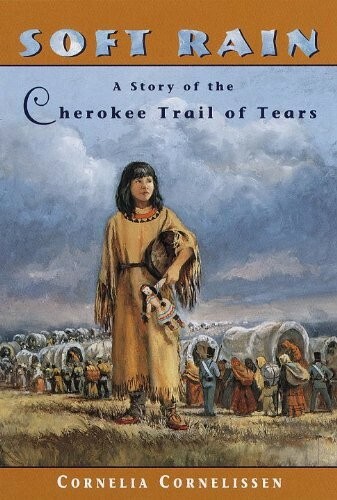 This book provides an excellent introduction to the painful realities of the Trail of Tears. When the Canadian government removes Irene and her siblings from their home on Nipissing First Nation, the children are forced to attend a boarding school miles away. There, Irene's hair is cut and she is told that names are not allowed and that instead, she is number 759. But Irene refuses to give up everything that she is: she knows that she will always be Irene. And when she and her siblings return home for the summer, her family is resolved: they will not return to school, no matter what. 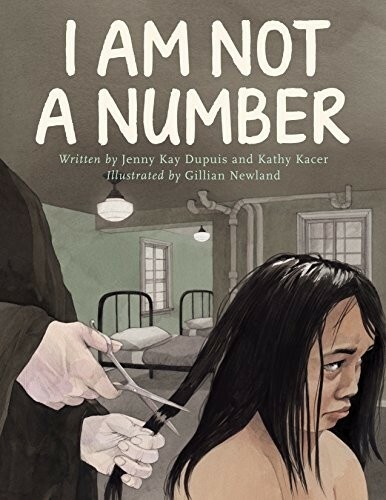 Based on author Jenny Kay Dupuis' grandmother's experience, this powerful picture book for older readers is a difficult but important read; back matter includes more detail about the residential schooling system and about the Truth and Reconciliation Report of 2015. In the late 19th and early 20th century, residential schools were formed in the US and Canada to "assimilate" children — what Canada’s Assembly of First Nations has called “killing the Indian in the child.” Margaret Pokiak-Fenton and her daughter-in-law, Christy Jordan-Fenton, share the story of her residential school experience in the 1940s in this book. 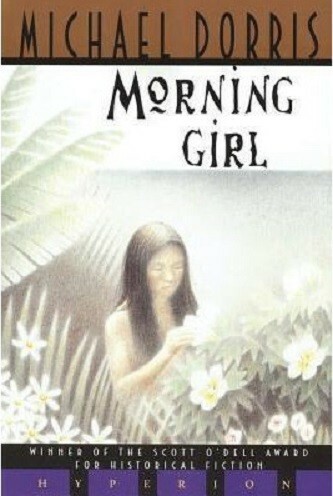 Young Olemaun begs to attend a residential school so that she can learn to read, but once she’s there, a nun nicknamed the Raven makes it her goal to break Olemaun’s spirit, renaming her Margaret and forcing her to wear the bright red stockings that lead to the nickname in the book's title. Determined Olemaun not only holds up against the Raven’s nasty treatment, but even manages to gain the knowledge she desperately wants. Parents of younger readers can share Olemaun's inspiring story with kids age 4 to 8 with the picture book When I Was Eight. 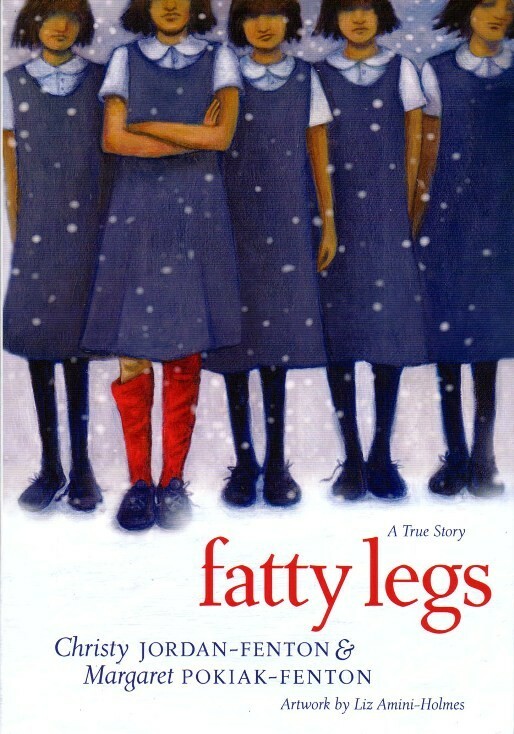 In the sequel to Fatty Legs, Margaret is excited to return home after two years at the hated school — until her mother takes one look at her and screams, “Not my girl!” Margaret has forgotten her family’s language, and even gets sick trying to eat her community’s traditional food. But the stubbornness that saw her through the Raven’s mistreatment comes to her aid again, as she relearns how to speak and live in her Inuvialuit home. 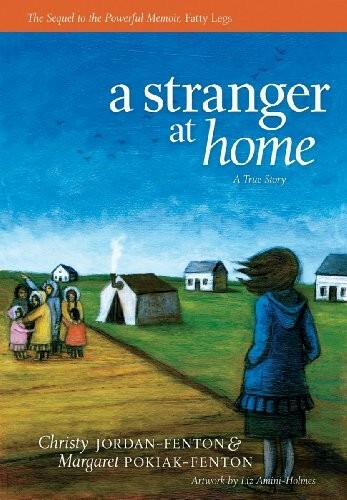 One of the rare children’s books to tackle life after residential schooling, this book also portrays Margaret’s optimism and determination, as well as the valuable lessons she learns about being true to her heritage and herself. A picture book adaptation of the story, Not My Girl, allows parents and educators to share this story with kids aged 4 to 8. Micay has a deep scar that runs from her right eye to her lip; as long as she can remember, it's disfigured her face. The children of her Incan village torment her, while the adults ignore her. But when a stranger passing through on his way to Machu Picchu gives her a baby macaw parrot, her life is forever changed. 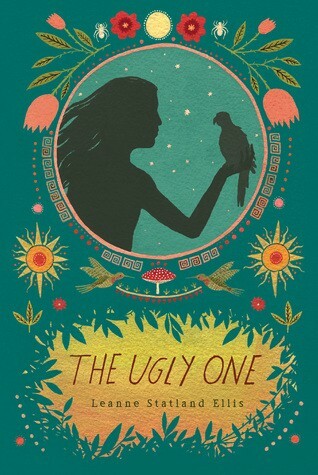 Perhaps Micay's destiny is more than being the Ugly One. In this vivid telling, Ellis adeptly introduces elements of the Incan Empire's culture and history through Micay's healing lessons and her Uncle Turu's stories. Most importantly, though, this book conveys a timeless message: beauty's true nature is about more than the body. It was a long journey from England to the New World for Alis' family, but they believe they will find a better life on new shores. However, the settlers have found themselves at odds with the local Roanoke tribe, and tensions are rising. In the midst of the conflict, Alis meets and, despite the long odds, befriends a Roanoke girl named Kimi, and the pair becomes as close as sisters. But when the fragile peace between the groups starts to fall apart, Alis will face difficult choices. Inspired by the story of the Lost Colony of Roanoke, this novel in verse tells the story from both girls' perspectives, with their voices coming together as their friendship grows. It's a unique work of historical fiction that will give you plenty to discuss after it's done. This book and its sequels, The Game of Silence and The Porcupine Year, tell the story of an Ojibwa family in the 19th century. Omakayas, who was adopted as an infant after being the sole survivor of a smallpox epidemic in her family’s village, is wise for her years and yet still struggles with sibling conflict and the harsh realities of life and death in her time. 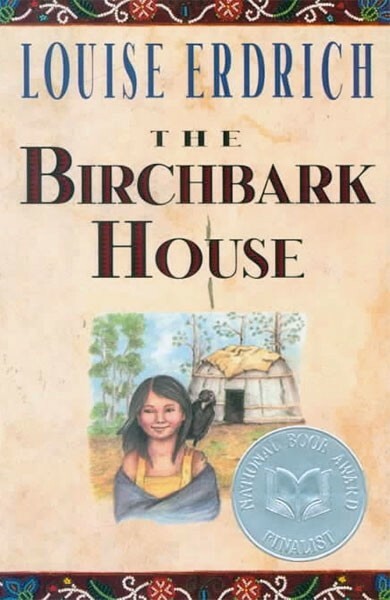 Erdrich, who is a member of the Turtle Mountain Band of Ojibwa, researched the daily life of Ojibwa villages in depth to write this historically accurate and deeply moving series. The series also provides an excellent counterpoint to the depictions of Native Americans in Laura Ingalls Wilder's books, making it an excellent option for educators looking to broaden the picture in a unit on frontier history. Morning Girl and her brother, Star Boy, are growing up in a peaceful, tropical world, striking the balance between providing for themselves and preserving the natural world. But while the setting is unique, his characters also wrestle with universal issues, like finding your own self-identity and dealing with annoying but beloved family members. The epilogue provides a dramatic reveal: Morning Girl lives in the Bahamas in 1492, and the puzzling visitors of the book are Columbus and his fellow voyagers. This book provides a glimpse at the life of indigenous peoples before European contact. In 1896, a Choctaw community in what is now Oklahoma was destroyed by land grabbers — with the acts of violence culminating in a fire at the New Hope Academy for Girls that killed twenty Choctaw students. Rose survived and went on to watch her beloved grandfather, Amafo, choose the path of forgiveness, even in the face of racism and brutality from the town's Marshall. As Rose remembers the story years later, it becomes a blend of tall tales, mystery, and even humor — and a story of how racism can both destroy communities and draw people together. Tingle's gifts as a storyteller are obvious in this remarkable story of vengeance and compassion. Like most cultures in the world, Native American cultures are full of myths and legends that celebrate clever girls and wise women! These retellings of Native American folk tales feature girls and women and how they have changed the world. From determined young horse lovers to fiery goddesses, their power is undeniable. Long ago, the only berries to collect on the tundra were hard, tasteless crowberries. So young Anana decides to try a spell. "Atsa-ii-yaa, Atsa-ii-yaa, Atsaukina!" — Berry, berry, be a berry! 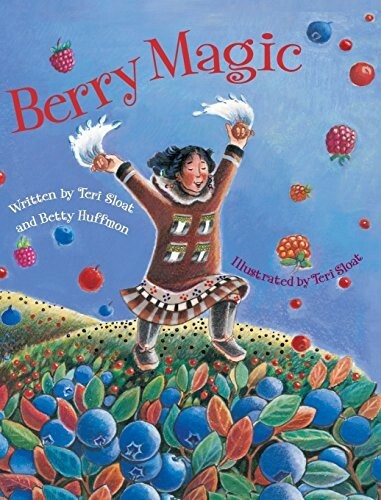 — she sings, transforming four dolls into little girls that run across the tundra creating patches of delicious blueberries, cranberries, salmonberries, and raspberries. Now, there will be unexpected treats for the Fall Festival and the special agutak ice cream! 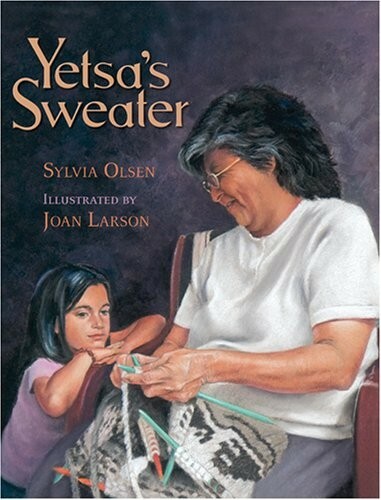 Yup'ik elder Huffmon shared an exciting and lively version of this tale for Sloat to illustrate, and the book even finishes with its own recipe for making agutak at home. 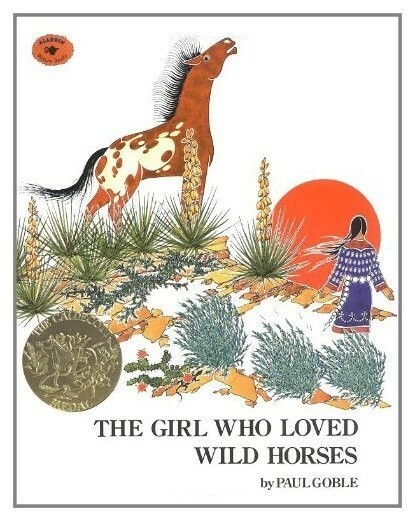 "There was a girl in the village who loved horses," begins this Caldecott Medal winning book. "She spoke softly and they followed. People noticed that she understood horses in a special way." When a thunderstorm scares the horses into a stampede — carrying her off in the process — the girl finds herself in a new land, ruled over by a handsome and proud stallion. The stallion welcomes her to live with them, and the girl is happy to join them... until the day that hunters from her tribe find her and try to bring her home. But perhaps home for this girl is truly with the horses she loves. 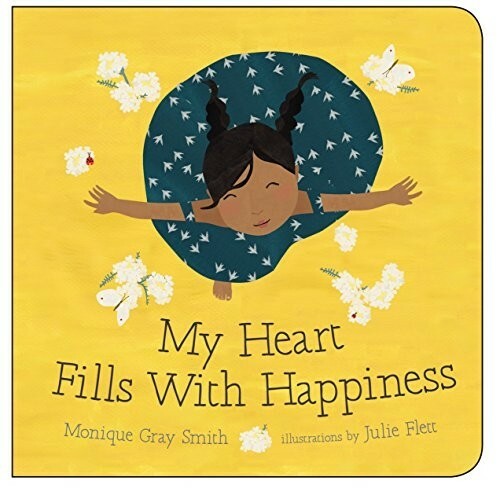 This story, assembled from multiple Plains Indians myths and legends, conveys a powerful and timeless message about individuality and following your heart. When a great drought threatens a Comanche community, all of their drumming and pleas seem to fall on deaf ears. One of the few surviving children, She-Who-Is-Alone, has lost both her parents; all she has to remember them is her warrior doll with the blue feathers in his hair. But when the shaman declares that the Great Spirit demands a sacrifice, She-Who-Is-Alone has the courage to give up the thing she treasures most in order to protect her people. 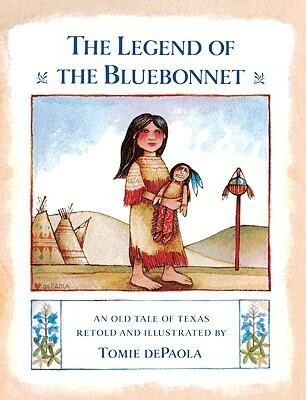 In return for her generosity, the Great Spirit gives her a gift: fields of bluebonnets to cover the hills every spring. At the end of the first day, First Woman argued with First Man. The laws should be written in the sky, she said, so that the people would always know them. Even though First Man disagrees, First Woman takes her blanket full of jewels and begins laying them in the sky. Even the trickster Coyote offers to help, but when he becomes bored of the careful placement the job requires, will First Woman's plan ever see completion? 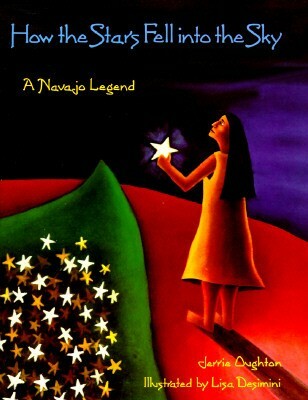 This elegant retelling of the Navajo legend that explains the mysteries of the stars captures the sense of meaning and purpose we all feel when we gaze at the night sky. History and important names are one thing, but recognizing the day-to-day experiences of Native American and Indigenous Canadian Mighty Girls is equally important! Instead of providing more distant role models, these stories feature characters whose lives and feelings will sound familiar to any child. There are so many things that can make your heart happy — for this girl, it's moments like bannock on the stove, moccasins for dancing, and drumming with a loving relative that make her heart full! In this charming board book, children enjoy experiences that hint at a Native American heritage in a clearly contemporary setting: the bannock bakes in a modern kitchen. For all children, it's a celebration of the joys of home, but for children from Native American and First Nations Canadian families, these touches will be especially familiar and warm. It's a familiar question to any parent: not just how much a child is loved, but whether you'll still love them if they get into mischief — like putting salmon in your parka and ermine in your mukluks! 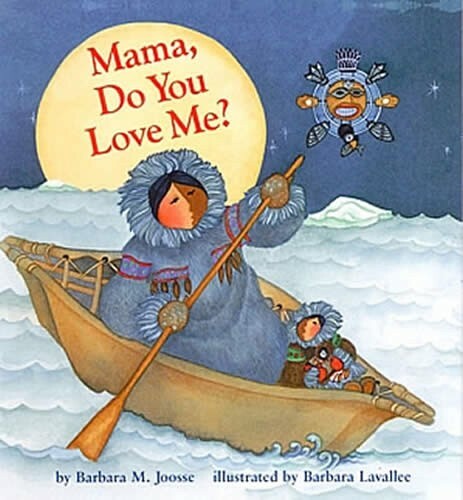 Fortunately, this Inuit mama is able to reassure her little girl that she will always be loved "more than the raven loves his treasure, than the dog loves his tail, than the whale loves his spout." And how long will Mama love her daughter? Why, until the puffins howl at the moon — in other words, forever! This sweet story of unconditional love is also available in an abridged board book for the littlest readers. One spring day, Yetsa, her mother, and her grandmother gather together for a very special task: cleaning, carding, and spinning the sheep fleeces so they can be used in Cowichan sweaters! As the trio devotes their attention to the hard work necessary to care for the fleeces, they are drawn closer together by laughter, stories, and songs. And soon, Yetsa will have her very own sweater, as unique as she is. This story of family love also introduces a 100-year-old tradition that combines Scottish knitting and Cowichan woolworking, as well as the deeply symbolic patterns created to tell each sweater's story. When a little girl comes home with a dreamcatcher she made in school, she's eager to talk to her Cree grandfather and learn more about her heritage. Her enthusiasm, though, seems to make her grandfather sad, and eventually he confesses that he has little knowledge to share: as a child, he tells her, his language was stolen from him. The girl comforts her grandfather as best she can, but the next day, she comes home with something even more special to share: a tattered paperback called Introduction to Cree. 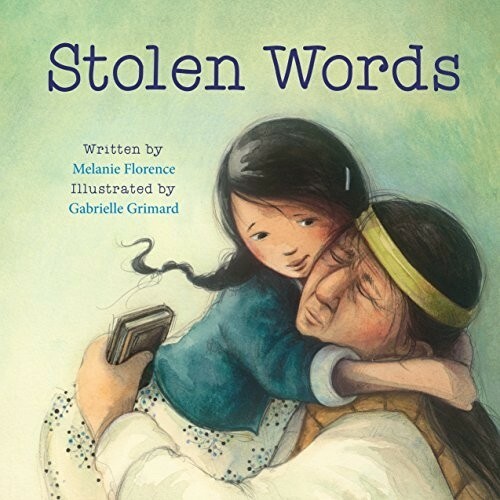 While this book is an emotional story of the damage done by the residential school system, it's also a powerful tale of a hopeful present: one in which generations work together to learn or relearn their language and culture. Some things are more magical when you share them with a beloved sister. 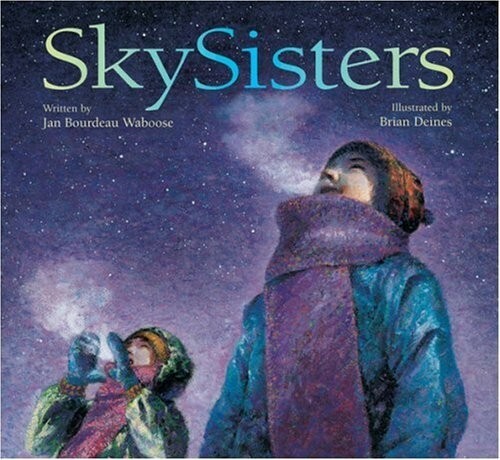 One winter night, two Ojibway sisters set out to see the SkySpirits dance. It’s a long walk and requires a lot of patience — especially for the younger sister, who struggles to experience the stillness rather than filling it with chatter — but in the end, the pair are rewarded with the shimmering light show they’ve traveled so far to see: the aurora borealis. 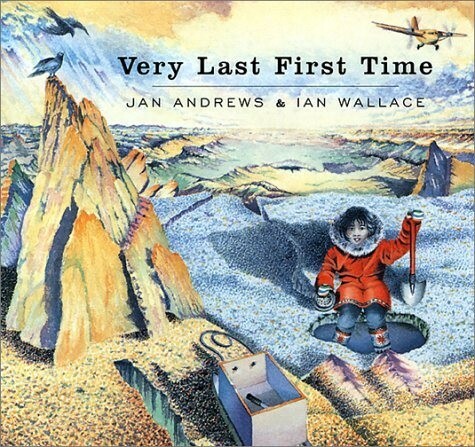 The warmth of family leaps off the pages of this lyrical picture book, which captures the wonder of the Northern Lights. After seeing a video of Grandmother Wolfe jingle dancing, Jenna, a Muscogee girl, wants to continue her family’s tradition at the upcoming powwow. But how can she get enough jingles for her dress? By taking a few jingles from dresses belonging to a neighbor and several of her relatives, Jenna is able to sew a dress that will jingle properly. Grandmother helps her practice, and at the powwow, with great pride, Jenna represents all four women who shared parts of their dresses and their memories with an eager young girl. Every child can relate to the nervousness which comes with the first time you try to do something without a parent by your side! Eva’s Canadian Inuit community takes advantage of a seasonal food: mussels on the sea floor, underneath a thick sheet of ice. When the tide goes out, Eva goes beneath the ice with a candle in hand, and soon fills her pan with mussels. But when the candle goes out, Eva will have to get herself home — without her mother’s help — before the tide returns. Your Mighty Girl will be fascinated by the adventure that this girl, not so much older than she is, dares to undertake and perhaps be inspired to brave a new experience of her own. Kimmy's life is upside down right now — her parents are hunting for a new home near her Daddy's new job, so she's staying with her Chippewa grandmother for... however long that takes. It's no wonder that she starts having bad dreams! 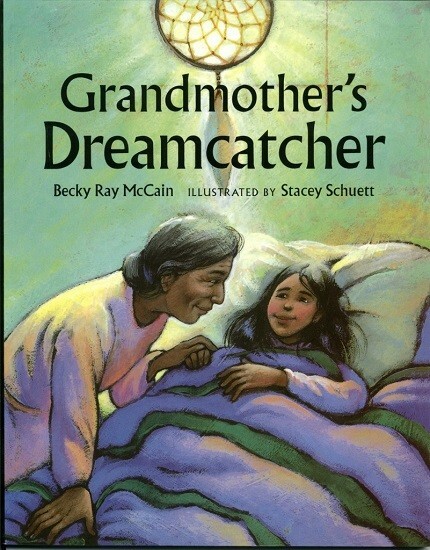 But Grandmother knows just what to do about bad dreams, and tells Kimmy the story of the dreamcatcher. Perhaps, if they make one together, Kimmy will sleep more easily — and perhaps the extra special time with Grandmother will let Kimmy know that her family can help her through anything. This sweet story of how old traditions can help children deal with modern worries is sure to have young readers interested in building a dreamcatcher of their own. 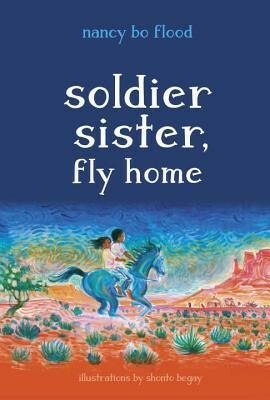 Thirteen-year-old Tess is already struggling to figure out her identity — too white on the reservation but too Navajo at school — when her beloved older sister Gaby announces she's going to enlist and fight in the Iraq War...only weeks after Lori Piestewa, a member of their community, becomes the first Native American woman in US history to die in combat. Adding to Tess' stress is her sister's instruction to take care of Blue, a semi-wild stallion, who Tess finds unstable and scary. 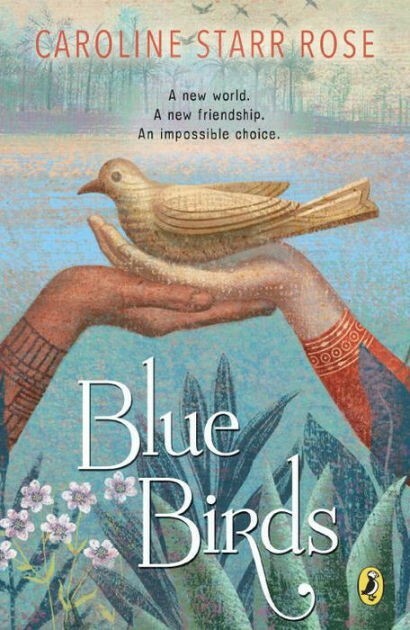 But perhaps caring for Blue can help Tess find peace with who she is. Additional back matter includes a pronunciation guide for Navajo terms and information about Piestewa. 12-year-old Willow is the daughter of an Anglo father and an Athabascan mother; she dreams of blending in, rather than standing out. But she also wants to be seen for who she is — particularly by her parents — so that she can start taking on adult privileges like mushing the dogs to her grandparents' house on her own. One mistake when you're on your own can have serious, even dangerous, consequences, though — something Willow learns all too well. But is Willow every completely alone, or can the people who make up her family's history support her in her greatest need? 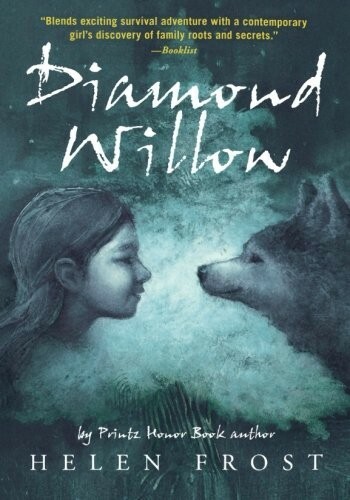 This story, told in diamond-shaped poems inspired by the shapes on polished diamond willow sticks, conveys powerful lessons about coming of age; readers will also enjoy finding the secret messages in bold text in each verse. Sharing stories is a wonderful way to learn more about one another, whether as individuals or as a larger community. By reading these great books with your children, you can give them a new appreciation for the breadth and depth of Native American and Indigenous Canadian culture and history. 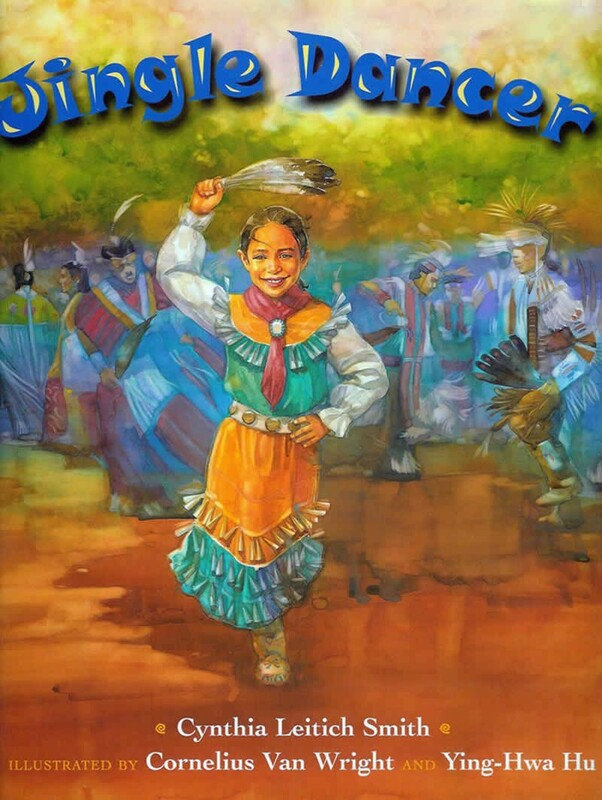 For more books featuring Native American and Aboriginal Mighty Girls, visit our Native / Aboriginal Fiction section in Multicultural Fiction. For a great children’s TV series featuring character design inspired by Native American and Indigenous Canadian peoples, check out Avatar: the Legend of Korra. This animated series, recommended for ages 9 - 15, depicts people of many races, but Korra’s race, the Water Tribe, is heavily based on Inuit people and culture.